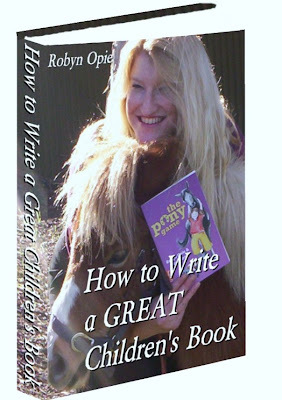 Welcome to Writing Children's Books with Robyn Opie. Today we have a special guest, Rebecca Newman, Alphabet Soup's publisher and editor. Here is a little information about Alphabet Soup and their spring issue from Rebecca Newman. Thanks, Rebecca. 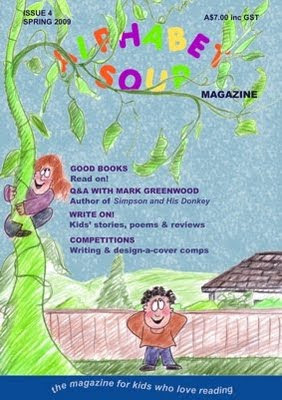 Alphabet Soup is an Australian magazine for children aged 6 to 12 who love reading and creative writing. We're thrilled that the spring 2009 issue is here - it marks our first birthday! A year (4 issues!) has gone very quickly. As part of our blog tour to celebrate our first birthday, we're giving away the first 4 issues of Alphabet Soup. Keep reading to learn how you can win. 1) The magazine is published in Perth, Western Australia. 4) The original logo was designed by Lucas Ihlein using alphabet pasta. While he was brainstorming ideas for the logo, he made a 13 second video (which you can view on Alphabet Soup’s Facebook page - http://www.facebook.com/video/?id=27726653438). A later version of the logo used coloured alphabet pasta. Then he passed it along to Chris Farrell, who ‘flattened’ the image – to turn it into the logo we know and love! One lucky person can win the first 4 issues of Alphabet Soup. Please answer the following question, then email your answer and your name to: robyn@robynopie.com. 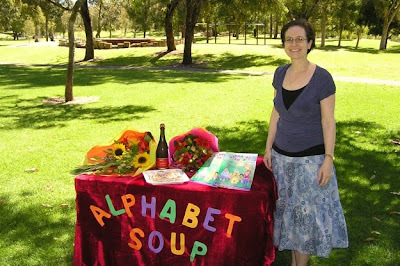 Q: In which Australian state is Alphabet Soup published? Remember to email your answer and your name to robyn@robynopie.com. Thanks for being a part of our first year celebrations. We hope to see you again next year for our second birthday! Thanks for visiting my blog, Rebecca, and for offering a wonderful prize for a lucky reader. Who will it be? Welcome to Writing Children's Books with Robyn Opie. Today, we have a special guest, Claire Saxby, as she nears the end of her blog tour for her fabulous new picture book, Sheep, Goat and the Creaking Gate. To keep with the subject of picture books, Claire is here to discuss the differences between picture books and school readers. Thanks, Claire. I started writing for children about a decade ago. I loved story and I loved children’s stories. 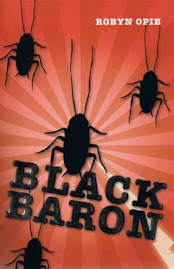 My first published book was a 5000-word story for an educational publisher. They had a series of leveled readers and wanted some longer but no more linguistically complex stories for children who had mastered the language at that level but needed something at the same developmental level. Clear? I’m not sure I understood completely at the time. But I had a story that was the right word length and pitched at the appropriate age group, so I submitted it. It was accepted. In the years since, I’ve honed (and continue to hone) my understanding of the differences between short illustrated texts for educational publishers and magazines, and picture book texts. This is not about their relative merits, but about the differences between them. It’s not as easy as saying the education texts have black and white illustrations and picture books color, because many early education texts are now in full color (and some picture books are illustrated in black and white). It’s not that picture books are bigger, although they are, mostly. It’s not that the intended audience is different, because in many ways it isn’t. In both, the story has to engage with the reader; both have to have a beginning, middle and ending – so what is the difference? An illustrated text for an education publisher (let’s call it a "reader") will have text designed to be read BY a child learning to read. A picture book text may often be read TO or WITH a child and so the language can be more sophisticated. An adult can explain words that may not be familiar to a child, or they may be words that a child has heard, but is not ready to decipher on the page. A reader may focus on a particular sound or use repetition in a particular way. This is seldom the case in a picture book, even when the picture book is in rhyme. The reader, particularly the earliest ones, are often very "concrete" in that the images will help the reader to interpret the text, eg, the words "A cow eats grass" would be accompanied by an illustration of a cow eating grass. In a picture book, the pictured cow may be accompanied by text that indicates the cow is lonely, or tired of eating the same thing every day. Both picture book (and I’m talking about picture books for the young, rather than picture books for older children here) and the reader will tell "simple" stories (one or two main characters, linear plot, single tense and narrator), but the picture book is likely to be longer. A reader will be short enough for a child to be able to master on their own. There is a purpose in mind. 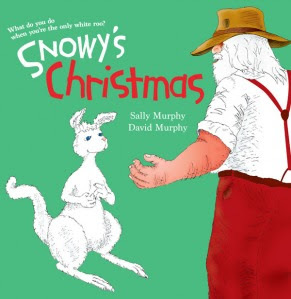 A child will "succeed" at reading this book and be encouraged to read more. They may be eight-, twelve-, sixteen- or twenty-four-pages. A picture book, as a general rule, is 32 pages. The majority of picture books are targeted at 4-7 year olds, but the audience for a picture book is changing, because picture books are changing. There are now picture books for all ages. Some are studied at senior secondary level and others are bought by adults for their art value. Picture books are available as individual titles in bookshops. Readers are marketed directly to schools and are not as readily available to the general book-buying public. A publisher once told me that picture books are a collaboration. Nothing new there. But I liked her definition. 40% words, 40% illustration, and 20 % was an "X-factor" – how the words and images worked together to produce the picture book. In a picture book, the illustrations have to work much harder than just illustrating the text. They need to have their own story as well. Look at your favorite picture books – there is a whole other story in the illustrations. It doesn’t contradict the text, rather extends and enriches it, to make something that can no longer be separated. I think of writing picture books as being like writing poetry. There are so very few words and each one has to work hard to earn it’s place. It’s as much about the words that are left out, as about the words included. I like writing readers, meeting the challenge of writing an interesting story in a tight frame. Basically, I just like stories. Thank you, Claire, for visiting my blog and sharing your experience with picture books and readers. Welcome to Writing Children's Books with Robyn Opie. This week is the official release of Claire Saxby's new picture book Sheep, Goat and the Creaking Gate, illustrated by Judith Rossell and published by Windy Hollow books. As part of the official release and launch, Claire is doing a blog tour. On Sunday, 23rd August, Claire will be visiting this blog to discuss the differences in writing picture books and school readers. Thanks, Claire. I'm looking forward to your guest blog. I'm sure others are, too. 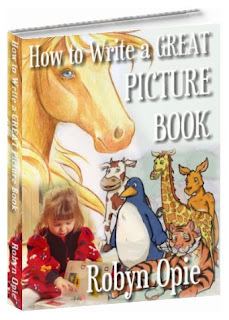 Welcome to Writing Children's Books with Robyn Opie. I have the pleasure of being involved with Sandy Fussell's Monkey Fist blog tour this week. Monkey Fist is the fourth book in the popular Samurai Kids series, written by Sandy Fussell and published by Walker Books. I hope you can join Sandy on her international blog tour. What a wonderful way to celebrate the release of Letters to Leonardo, an exceptional new book by Dee White. Well done, Dee. Also congratulations to Sue Whiting and all the great staff at Walker books, as well as the fabulous Margaret Hamilton. I enjoyed the Cyber Launch and participating in this exciting day. Hip hip hooray for Letters to Leonardo! 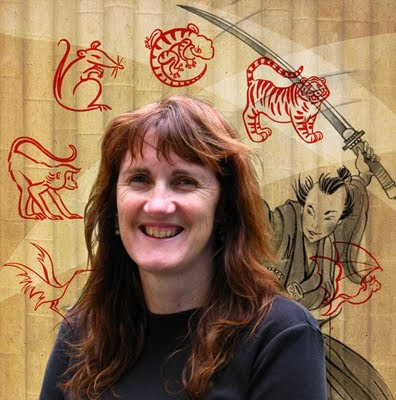 Today, as part of her international blog tour, we welcome wonderful Australian children's author Dee White to my blog. Welcome to my blog, Dee. Thank you for visiting. I know you and Matt have been busy touring the Internet, so we're thrilled to have you here today. 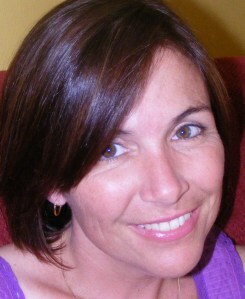 Dee has offered to share her experiences as a new writer journeying to publication. Her newly released book, Letters to Leonardo, took ten years from idea to printed book. I'll let Dee tell you more. Thanks Dee, now over to you. Letters to Leonardo was inspired by a true story of a man who received a letter on his 21st birthday from the mother he had been told was dead. As a writer, I thought, what an amazing story. I knew I had to write it down. But I didn’t know the person it had happened to – he was someone who worked with a friend. So I had no idea what happened next. In a way, this made it easier for me – my story would be limited only by my imagination. I started thinking about the man who received the letter and how he must have felt. Imagine finding out that everyone has lied to you for most of your life. How betrayed would you feel? I decided that how someone reacted to something like that would depend on their personality. Some would seek out the people who had lied to them and demand to know the truth straight away. People like me on the other hand, would be more cautious – and wonder whether this would only lead to more lies. I would want to do my research - get information from other sources to verify that this time I was being told the truth. But to cope with keeping this under wraps, I would need someone to vent to – Matt chooses Leonardo da Vinci to express his anger and hurt to. Matt isn’t based on anyone I know but I think he reacts to his mother’s letter in much the same way as I would have. Once I’d decided on my story idea, I had to come up with an explanation for Matt’s mother’s absence. Mental illness seemed like a plausible scenario. To develop her character, I drew on real life incidents that had been told to me by my friend whose mother is bipolar. In addition to this, I did a lot of research to help me understand more about bipolar and how it affects sufferers and their families. Writing Letters to Leonardo has taken more than ten years from initial idea to publication. In 2002, I was awarded a mentorship. This meant that I worked with an established writer whose brief was to address the things I was having problems with in the manuscript. My mentor had her own set of issues with my manuscript. She didn’t like the fact that the book had been written in first person because she felt it was harder to build up the suspense when you are writing from this point of view. And she told me to ditch Leonardo da Vinci as YA readers wouldn’t know who he was. I wasn’t happy with Space. Even though every word was mine, it didn’t feel like my story anymore. Even my main character was no longer the person I thought he was. It was a real dilemma for me. I had a completed manuscript – supposedly better because it had been mentored, but I wasn’t happy with it. So it sat in my bottom drawer while I hoped that someone would advise me what to do next. In 2003, as part of my Professional Writing and Editing course at VUT, I was lucky enough to do work placement with a fantastic publisher who was willing to read my novel, and give me objective advice. She thought that Space had ‘a compelling theme, evocative imagery and strong narrative drive’, but felt that there was something missing – that’s when I realised there was; what was missing, was ‘me’. My story had been taken over by my mentor. The publisher suggested I go back and write the story that I originally intended to write. It was good advice. And I was so excited that someone had given me ‘permission’ to go back and ‘do my own thing’. I was happy to be ditching Buzz Aldrin (sorry Buzz) because he had never inspired me. Having Leonardo da Vinci back in my life on the other hand was like welcoming back an old friend. With great motivation and purpose, I re-wrote Letters to Leonardo – and spent the next four years getting it to a standard where I thought it might be publishable - that’s the story that’s being released by Walker books today (1st July). Another reason that the book took so long to write was that I’d had a lot of trouble coming up with an ending that wasn’t weak and predictable. My problem was, I’d become so attached to my characters that I didn’t want anything bad happening to them. But with the escalation in Matt’s mothers behaviour; I really had no choice. My son read the book, and he was very blunt and said it definitely needed a stronger ending. We discussed a couple of alternatives – and eventually I was able to finish my story. In 2006 I came 3rd in the YA section at the CYA conference competition in Brisbane, and the judges were very positive about the book. This gave me the confidence to keep going – and eventually in 2008, I felt the book might be ready for a publisher to look at. I went to the SCBWI (Society of Children’s Book Writers & Illustrators) conference in Sydney in 2008, and had a manuscript assessment with Margaret Hamilton who was extremely positive and encouraging – and could even visualise the cover for the book. As a result of the conference, Walker Books asked to see the manuscript, and decided to publish it. As a writer, I have learned so much on this journey; and although I went off track for a while, the whole experience has taught me the importance of believing in, and sticking with your story. Thanks Dee. What an amazing story of persistence. I'm glad you never gave up because Letters to Leonardo is a fabulous book. I'm reading it at the moment and loving it. Anyone who loves a good book will love Letters to Leonardo. Congratulations and well done, Dee! hurdles overcome on the way to publication. Our US stop – and final destination before we head back home.